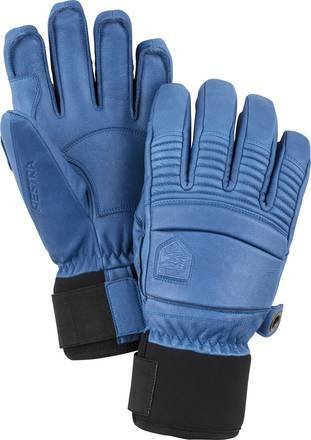 The Fall Line ski gloves from well known Swedish glove manufacturer Hestra, are a perfect choice for all mountain and freeride skiing. Made of soft and supple cowhide they ensure nice comfort and good grip of the ski poles. Precision and ski pole control is crucial to be able for you to ski dynamically and to be able to push your boundaries. These warm ski gloves come with foam insulation and a soft Bamberg polyester lining. Neoprene cuff and velcro closure ensure good firm fit.